Jordi started his entrepreneurial career in 1997, after drinking half a bottle whiskey with his brother (who drank the other half). 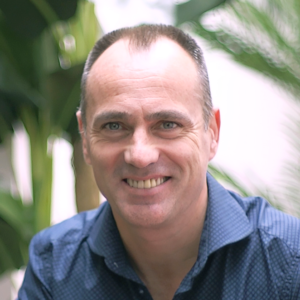 Together they founded SBD in Barcelona, a professional services firm who had over 200 consultants by 2004 and was acquired by the French firm Alten Technologies. 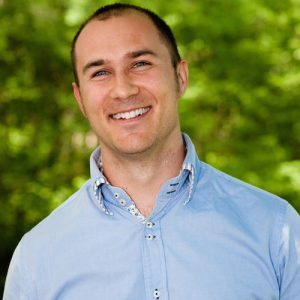 Jordi founded Inbenta in 2005 to help customers improve online relationships with their customers using revolutionary technologies like Artificial Intelligence and Natural Language Processing. The first beta version of Inbenta Semantic Search Engine was released in 2010, thanks to an awesome team composed of linguists, software architects and customer care specialists. Since 2012 Jordi lives in California, …and he stopped drinking whiskey. 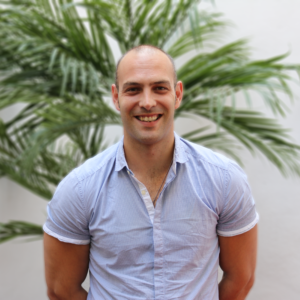 After 8 years as Inbenta CTO, Ferran is now playing the COO role inside the company. 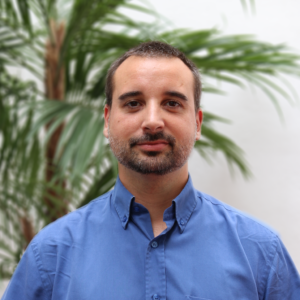 Ferran is in charge of: quality control of the product development process, presales engineering, internal support, recruiting and training the technical team, evaluating and prioritizing R&D developments, and designing and monitoring the production environment. When not working, you’ll probably find Ferran headbanging with the sound of some progressive metal band. Jordi joined Inbenta in 2006 and he’s ever since been known as “Little Jordi” (the guy hates this nickname, so you’ll better avoid calling him that). Jordi does have a well deserved reputation for being nice and flashing his contagious smile every now and then (you’ll be better off in avoiding disagreeing with him on that). As for his role in the company, after holding the title of Research & Development Director for several years, Jordi became our CTO in 2012. Out of the office, if Jordi has not brought work home, then you’ll most likely find him reading action/thriller novels or enjoying his life as a family guy. When Caterina finished her studies, she started working as a language teacher. 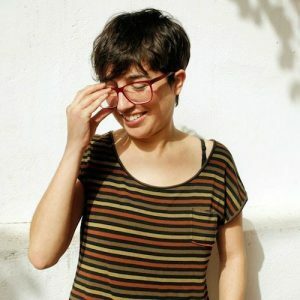 But she soon got tired of teaching languages to noisy human beings, so she decided to teach them to computers and was coincidentially hired as a computational linguist at Inbenta. That was back in 2006. She is currently the head of the linguistic team in the company and is an active member of Inbenta’s Festivities Comittee. The rest of her time is spent feeding friends with croquettes, eating films and carrying out subversive cultural activities. Lu(ke) joined the Catalan Rebel Alliance, inbenta, in Barcelona in 2009. After 2 years of Jedi training below Yodi Torras, Luke finally learnt how to master the Force and started his own adventure back to France in Toulouse where he raised in March 2012, the French Rebel Alliance, inbenta France. With a handfuls of young Jedis, his main objective is now to become the leader company in customer self-care and assistance solutions in the Banking and Insurance Sector, the only way he thinks that may put the Galactic Empire in a very difficult position.. When not devoting time to his quest at inbenta, Luke is teaching e-business and e-marketing among different MBAs, DBAs and Masters in the whole galaxy, including France and Spain 🙂 He’s also improving every week his swimming skills to beat Jar Jar Binks, making some loops with the Millennium Falcon on his PS3 and visiting (too often) the Cantina with his fellows Han and Chewie. PS: my Dark Father made me build a serious resume on Linkedin so please visit it before he spanks me with his lightsaber! Àngel studied computer science at UAB University. 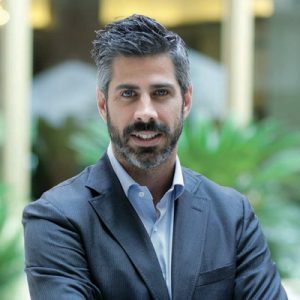 Later, while working, he realized the importance of applying technology to business, so he earned his MBA with a concentration in marketing at ESADE Business School. Throughout his career, he has worked with different companies focusing on communication and technology. 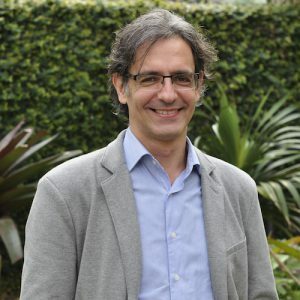 In 2010, he moved to Brazil where he is currently responsible for Inbenta’s growth within that country. He hates having to call into call centers and that’s why he loves his work at Inbenta. Helping others not having to waste their time on the phone but rather online, is a better experience for customers. When Àngel is not working, you’ll find him with his family or maybe practicing Aikido.